HR Technology that enables you to perform at your peak. 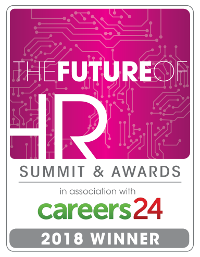 HR Technology enables you to maximise the talent of your workforce, empowering them to do great things on your behalf. Don’t fall behind. Lead your company to success with smart decisions using our blueprint of your company’s most precious asset – it’s people. Drowning in admin, always behind, not getting the recognition you deserve? The height of human achievement is within your reach, with SmartHR behind you. Our Core SmartHR software will integrate to your existing systems or you can add on our specialised modules. On-premise, hosted or in the cloud – the choice is yours and we can help you decide. Full ownership, rent to own or simply month by month. No contract, no complicated billing structure and the data is always yours. Desktop, smart phone or kiosks. Not everybody needs full access to a desktop machine, but everybody can have access to SmartHR.